4-My hotel, the Hotel Cinema. Built 1939 as a 1,000 seat cinema; first air-conditioned building in Palestine; closed 1992. 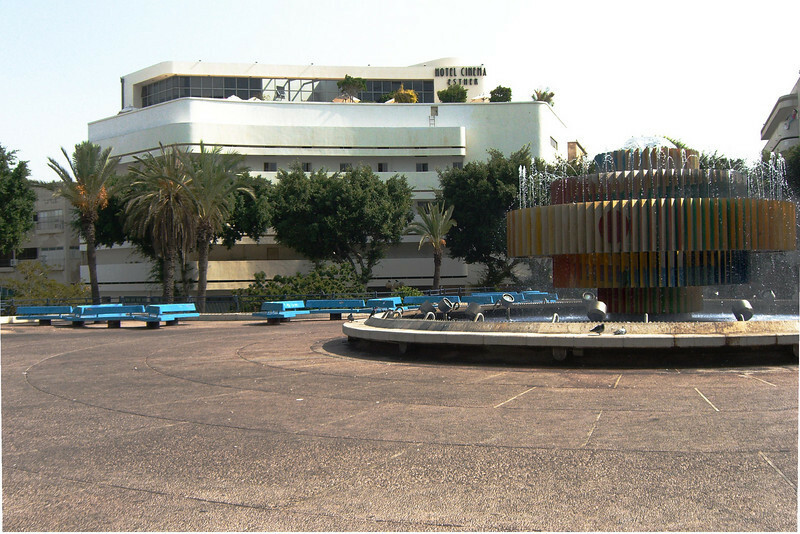 The paving is a 1970s pedestrian bridge over Dizengoff Square.